I picked up a tube of this on clearance, thinking I'd try it because it was so cheap. I was pleasantly surprised by how well it works. 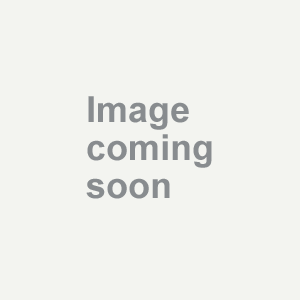 I have used other Neutrogena products, but have never tried anything in its hair care line. I don't have to use very much to accomplish the job, and I have very thick, straight hair that grows like a weed! It rinses out nicely and leaves your hair soft, but not weighed down and flat. I use products to lift and "spike" my hair in certain places, so it is important that my conditioner is not heavy and doesn't add to the need I have for lift. This is not as expensive as other products on the market, and it does a very good job. It would be nice if it had a bit more scent, but if you are sensitive to scent or don't like a lot in your products, this would be perfect for you. Overall, this is a reasonably priced product that does a nice job and is easy to use. What more could you ask for? I absolutely love this stuff! Neutrogena Triple Moisture Daily deep Conditioner is awesome! I have super curly and frizzy hair, and it is hard to maintain frizz free. I have tried many other deep conditioners, but they do not calm my curls. I have even tried the infusion leave in conditioner, that you spray after you shower, but I find that is too smelly, it has a strong smell, I mean it is not too overpowering or that foul smelling, its just the smell is a strange smell that I personally do not find appealing. Also it leaves my hair crunchy, like as if it were a light hair spray. I do not like that, I like soft curls, with no frizz, and guess what? This Neutrogena Daily Deep conditioner does just that. It also has a nice, not over powering, clean fresh nice smelly scent. I can handle it for every day. it is really pleasant. The only thing with this conditioner, is that I have a hard time finding it in the store, and when I find it I do not stock up because it is a little pricey. Other than that I love it. I had great hopes for this product, but unfortunately, it turned out to be just another low qualify supermarket conditioner. 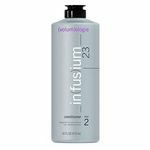 My hair did not appear more moisten and felt really fine after using of this conditioner. I am one of those girls that just has all kinds of hair problems (WHY OH WHY OH WHY? My hair is thin, it breaks, it has been bleached one hundred and fifty million times, its dry on the ends and oily on top. Trust me when I tell you that my hair is yuck, yuck and yuck. But what is this you say? My hair doesnt look so yucky after I use this deep conditioner? That is true. Here is what I do. I put this stuff on my hair before I go to bed. I wet my hair, put a lot of this conditioner on, and then cover it with a towel or a shower cap. I do not put too much on the roots because it will be too oily. Anyway, I wake up and wash it out before work and VOILA.... my hair is perfectly moisturized. I love it. Now, it doesnt help with the thinness or the fact that I just do not genetically have good hair BUT I promise you that this conditions as good a a conditioner could. A little expensive for store brand, but well worth it. Was great for what i needed! A while back my hair was crazy. It couldn't decide if it wanted to be long or short, curly or thin (yes, IT couldn't decide, not me ;D). I went thorugh a lot of different products in attempts to control it, and this is the only one that did it. I also love the feel/smeel/content in this one, it's just unique! The fact that it combines several different things makes it extremely handy. Granted I don't use it anymore, mainly due to the fact that my scalp started getting itchy and it wasn't helping (it wasn't harming it either, I just needed a itch control shampoo and conditioner, so I had to switch). Also , it is a little hard to find, but I don't think that it is entirely too pricey for what it offers. Since i used it so long ago, I can't exactly recall what it smelled like, but I remember I really loved it. the bottle is wonderful., the company is wonderful, and the product is all around great. Make sure to try it out for yorself! I love how hydrating this conditioner is! I wouldn't recomending using it everyday but a couple times a week makes wonders of a difference in dry and damaged hair. My curly, frizzy locks couldn't ask for anything better. It is so moisterizing without being heavy and weighing down my curls. I've used it when my hair is curly and it makes them soft and defined and I've also used it and then used a blow dryer and hair straigtner for soft, frizz-free and shiny locks! I would highly recommend this product to anybody looking for a solution to dry and damaged hair or anybody looking to prevent dry hair. It helps keep it safe from the harsh summer heat and also to keep it safe from the cold and wind in the winter. Living in the midwest is rough on the hair and this product will save you many many bad hair days. Feels like you are pampering yourself with a spa shampoo and all you need to do is spend a couple bucks at the drugstore! I purchased this product for the first tme due to a sale and I was quite surprised. I have purchased othe Neutrogena products before but never a conditioner, Its Works well and soften my thick curly hair. Smells nice also. I look forward to purchasing more of this product. Very Good !!!! I use this conditioner every other day. It really helps during the winter months. 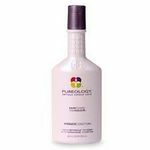 I color my hair, and use this conditioner, my color lasts longer, hair is shiny, healthy looking. My hair is really soft. I don't buy any other conditioner, this is the one for me. I am very satisfied with the product and price. I have been using Neutrogena Triple Moisture Daily Deep conditioner for five years, it is the best. I don't have to use alot, very little goes a long way. the smell is nice not over powering, it has a subtle scent. It is easy to find in any store. Very effective for dry hair. 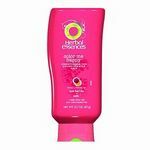 It really helps when hair is dry and brittle, using this product will help soften and make your hair look healthy. I love, love, LOVE this conditioner!! I am a huge fan of coloring and styling my hair. So, through being pretty brutal to my hair with all the chemical processing, along with plenty of hard daily styling products and that all cause loads of damage, my hair was definitely not in peak condition and it showed. My hair is pretty long, so all that damage definitely had taken it's toll and definitely did not look too pretty. My hair was really suffering until I started using this hair product. My hair looked damaged, frizzy, and just generally blah until my friend recommended this conditioner to me and I began using it. It always leaves my hair manageable, tangle-free, sleek, and shiny. I highly recommend this product to anyone with hard to tame hair from chemical processing or overstyling. My hair is medium thickness, but fine and it does wonders for it without weighing it down or making it look greasy. I love Neutrogena Triple Moisture Daily Deep Conditioner. I first discovered Neutrogena through their intensive deep condition (not the daily one) that came in a short little "jug" and I loved it. I was so happy when it came out with the daily conditioner. It is safe on my color treated hair. 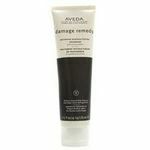 It leaves it soft and manageable, and keeps my frizz under control. I used to only buy salon products, but this compares with any of them!